Step2. In the first box, choose the quantity and the product that you want to upsell then click Next. 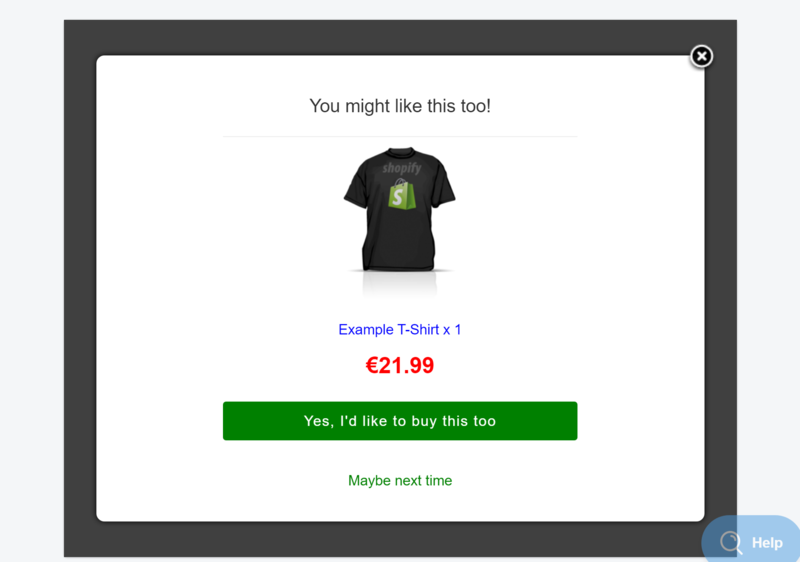 In this example, we want to upsell the Example T-shirt. Step3. In the second box, set the discount value to No Discount then click Next. Step4. In the third box, pick the product which will trigger the upsell offer to appear then click Done. In this case, we are choosing Cool T-shirt. Now since this upsell offer does not have a discount and is just simply suggesting a product, you need to modify the message in the upsell offer box. Step5. Scroll down to the Optional Settings section and change the Upsell message. In this example, we are using You might like this too!